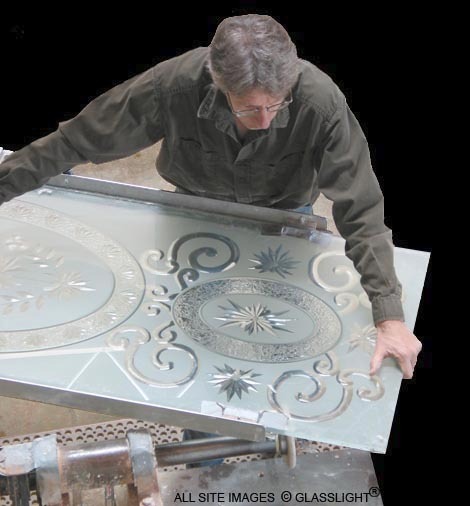 Glasslight works in all facets of architectural carved glass. From exquisite brilliant cut mandalas in optical glass to sandblasted multiples in clear or mirror. Whether contemporary hotel design, victorian to deco restoration or sculptural glass, we can help you develop a glass design that complements your project.